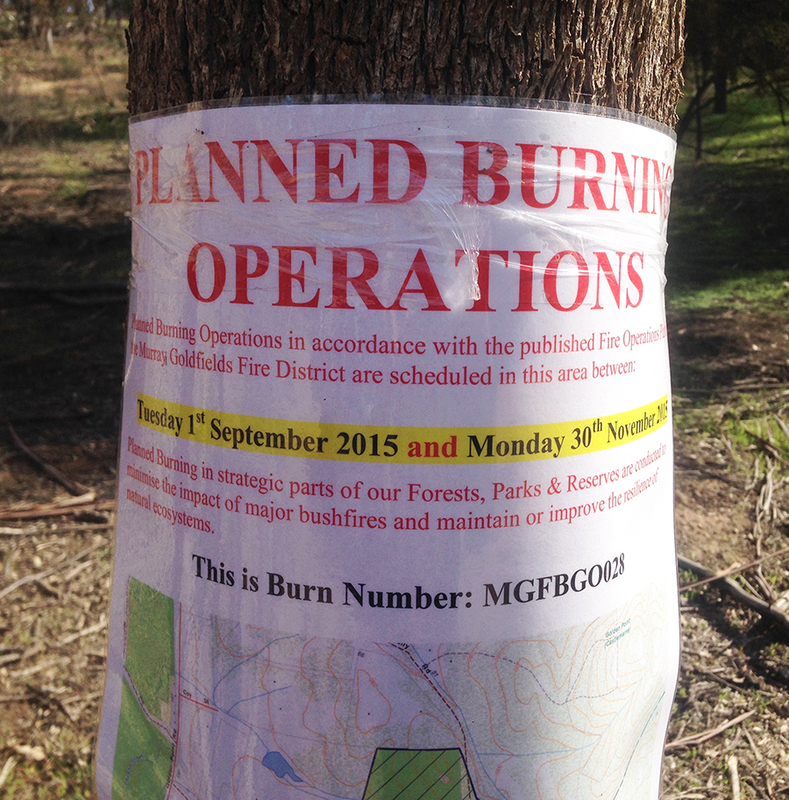 The proposed burn did not happen in Spring 2015 as planned and outlined below. We await notification of a date in Autumn 2016. Antoinette, Karen, Steve and I walked the Reserve with John Hosking and two staff last Friday afternoon. It turns out that a neighbour has requested the asset protection burn. The burn will take place in a few weeks, depending on how quickly the weather dries out the green grass. Prior to the burn a one to two metre perimeter strip will be cleared. Also around the base of the stringy barks and other tress will also be cleared to prevent the fire running up the trunks. On the day of the burn no-one is allowed on the land. They will start at the top of the block and work down, allowing fauna an escape. The burn will be done all in the one day at then end of which they will have put out any fire around the perimeter. But the rest of the block will smoulder for perhaps a week or so, during which time they will monitor the block daily. 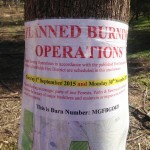 The Department of Environment and Primary Industry has included the 12 hectare parcel of public land “Chewton Bushmans Road MGF CAS028″, otherwise known as the Chewton Bushlands Reserve (starting at the corner of Commisioners Gully Road and Rankins Road) in it’s Planned Burns this spring. If you have any further queries then contact John Hosking [m: 0407 438 092 or w: 54704 0056], from the Department. This entry was posted	on Saturday, January 23rd, 2016 at 3:00 pm	and filed under • The bush, Fire. You can follow any responses to this entry through the RSS 2.0 feed.